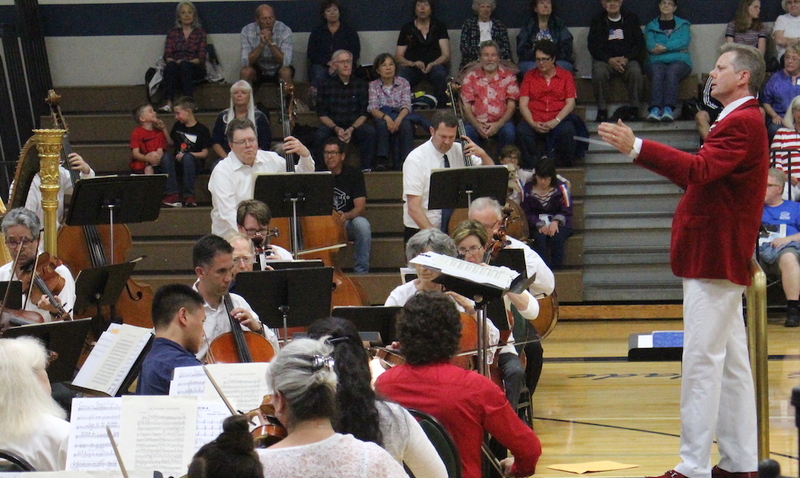 On July 4th there was a full house for the NSO and Adam Flatt whose love of all types of American music created a tuneful and rowdy Birthday celebration. Charles Ives’s “Variation on America” arranged by Schuman sounded more like variations of “God save the King”. You could well say that God didn’t but no doubt sustained King George as he received the melancholy tidings that he had just lost much of his Empire and that Boston Harbor was awash with his tea. The NSO’s artful and varied program will have stirred many memories. My favorite? A song from Oklahoma by Rodgers and Hammerstein. “I’m just a girl can’t say no”. Gloria Grahame, a magnificent original, ’stole the movie’ by blending comedy and heartbreak in one of the greatest cameos of all time: her smudged lipstick indicative of a fragile romantic’s latest despairing pursuit of love. American Frontier by Calvin Custer had a brief but lovely evocation of Shenandoah that raised expectations that Jimmie Stewart might appear. Even better was the truly great piece by Ferde Grofe “On the Trail” from his Grand Canyon Suite. Grofe came from a musically gifted family, as his parents and uncles were mainstays of the L.A. Symphony. His arrangement of Rhapsody in Blue actually put Gershwin and band leader Paul Whiteman on the map. His portrayal of the covered wagon clip-clopping through the Canyon is one of the world’s best tunes. It was gloriously rendered by the NSO. Hearing again “On the Open Sea piece by Ronen I realize how astonishingly beautiful it is. A worthy celebration of those who search for fish and crabs on an ocean that goes on forever. Thanks to all those who served, and still serve, in the Armed Forces and to Rogue, Georgia Pacific, Oregon Arts Commission, Oregon Coast Bank, and Yaquina Bay Communications for a great party!